You are about to start your 3D printing project and you would like to get a quote for your project? But, do you know that you could easily get an instant 3D printing quote? This whole process could only take you a few minutes… We will tell you about one of the features we are the most proud of here at Sculpteo: our online quoting system! Price is obviously an essential step during the development of your project and that is why, at Sculpteo, we think that this step has to be optimized and easy to access. Let’s discover how it works! What are the steps to get instant 3D printing quotes? For a 3D printing service such as Sculpteo, generating an instant 3D printing quote is a challenge, as we have to deal with a fleet of 3D printers, delivery times, etc. But concretely, what are the steps that you, as a customer, you need to do in order to get a quote for 3D printing your part? The only thing you will have to do in order to get your instant 3D printing quote here, at Sculpteo, is to upload your 3D model. Yes, you read it right. If you already have your STL file, it is as simple as this. At Sculpteo, we found a solution to that matter. We developed a 3D printing tool, which instantly finds room in a production batch on our printers for your order. That’s why you can get a 3D printing quote instantly directly on our Sculpteo website, right after uploading your model. You will get the right price, as well as estimated delivery times. Being customer-centric is one of our key focuses when it comes to designing our online 3D printing service. Get ready to discover this whole experience and upload your 3D model now to our website! Optimize the price of your 3D printed objects? At Sculpteo, we also developed online tools, to help you optimize your part, and sometimes reduce the price of your order! Hollowing tool, for example, can help you get your part at a better price. 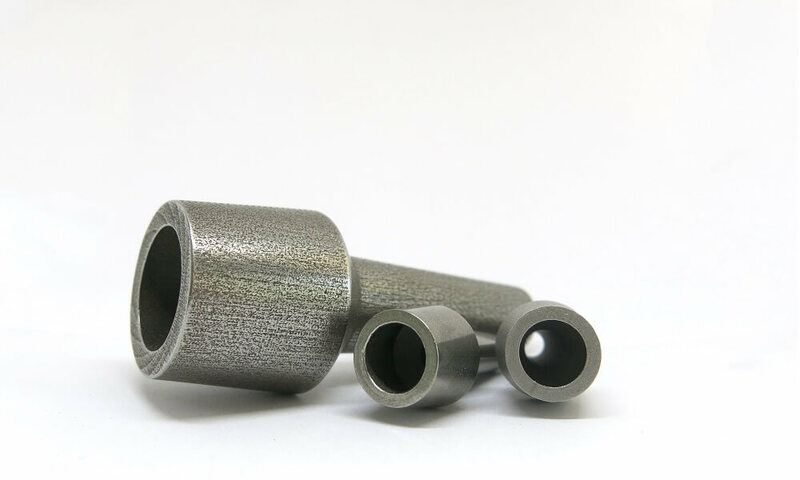 While using the Selective Laser Sintering technology, which uses powder, you can use the hollowing tools, which will simply hollow your part, in order to remove the power inside the part. This way, you will get a lighter object, and reduce the price of your order. The first option to reduce your 3D printing cost is to consider 3D printing as a production technique, a real alternative to injection molding. Batch Control is available if you order at least 20 units of the same 3D file, and it has an interesting effect on your 3D printing price: it provides an adapted cost! Some 3D manufacturing processes and materials are cheaper than others. For example, if you chose to print your project using stainless steel, keep in mind that metal 3D printing might be quite expensive. While choosing to print using HP Multi Jet Fusion is the cheapest option possible, perfect to create a rapid prototype or functional end-use parts. At Sculpteo, we have several material options. Check them out and choose your material wisely! Improve your product development and choose the perfect 3D printing material for your rapid prototyping process, or for your finished products! Optimizing the design of your 3D printing project can be a great idea to get your parts at a lower price. Creating lattices, will optimize the design to get lighter and cheaper 3D printed objects! Be careful, while working on your 3D design for 3D printing, you always have to respect design guidelines of the 3D printing material you chose. Indeed, if you don’t respect the minimum wall thickness your part might break during, or after, the printing process. Design guidelines are kind of quality assurance. Are you ready to make the most of additive manufacturing? Upload your 3D file right here and get your instant 3D printing quote. Do you want more 3D printing tips? Subscribe to our newsletter right now!